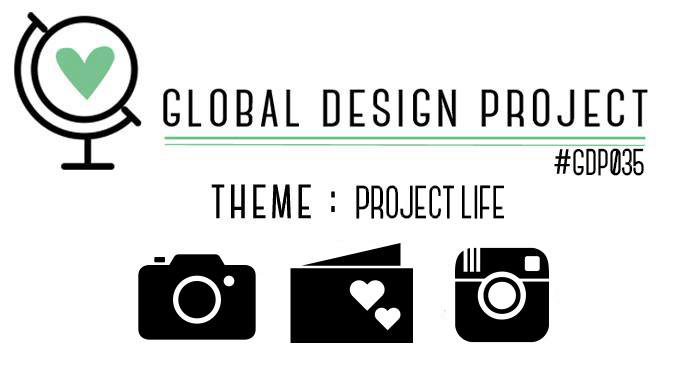 This week the challenge over at Global Design Project is to create using the Project Life concept. 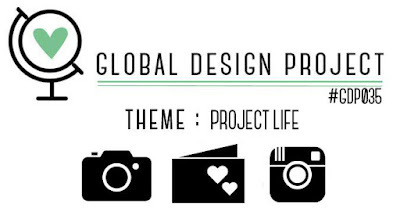 What is Project Life? 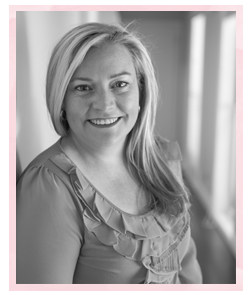 Project Life itself is an ingenious, simple and easy memory keeping system created by a brilliant woman called Becky Higgins. 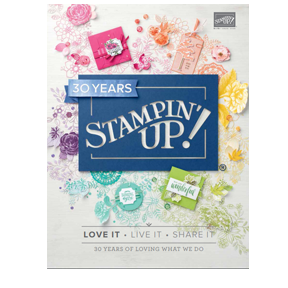 A couple of years ago Stampin' Up! 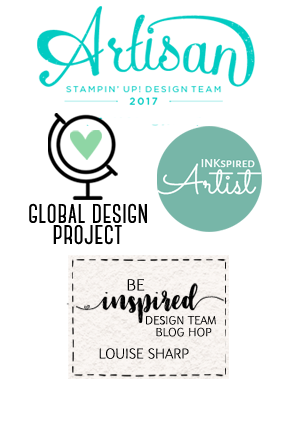 and Becky Higgins joined forces to have card collections, stamps, kits, albums, accessories and pocket pages to coordinate with our existing range. For me, I will admit that I haven't been very successful at Project Life or even memory keeping. I am guilty of taking photos and storing them on my hard drive. 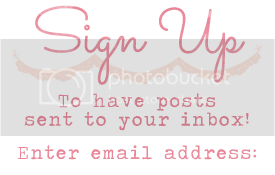 So, this is my pledge to you, my loyal followers; I promise to make more of an effort to document my life and share it with you and my favourite way to do this is using Project Life because it's so darn easy! Have you ever just loved a Designer Series Paper? Or even been in love with a stamp set? 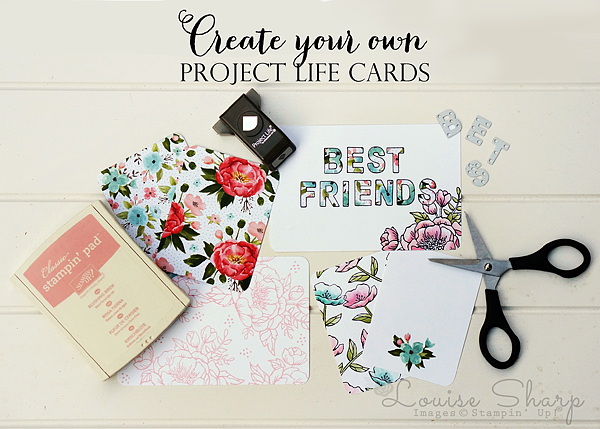 Why not use it and create your own Project Life cards? Perfect! 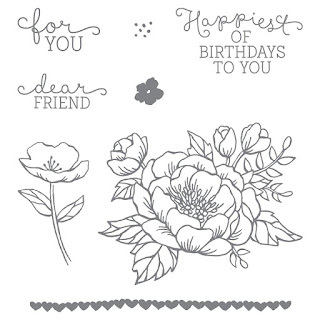 I recently returned from my best friend Mehgan's wedding the Birthday Bouquet paper and Birthday Blooms stamp set works perfectly with her theme. So I have started to create my own cards and soon I'll get some photos printed and create some pages of her perfect day. 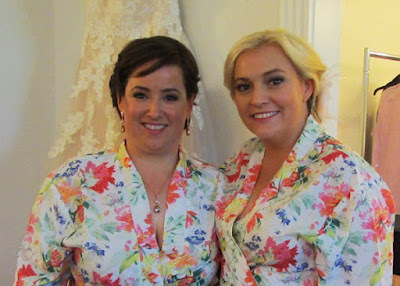 Here's a photo of Mehgan and I getting ready before the ceremony. It was a magical day and I will blog more about it when I get the professional photos. Now, time to get more inspiration! If you haven't started your memory keeping journey yet, or even if you have, make sure you go and check out the amazing Design Team over at the Global Design Project. 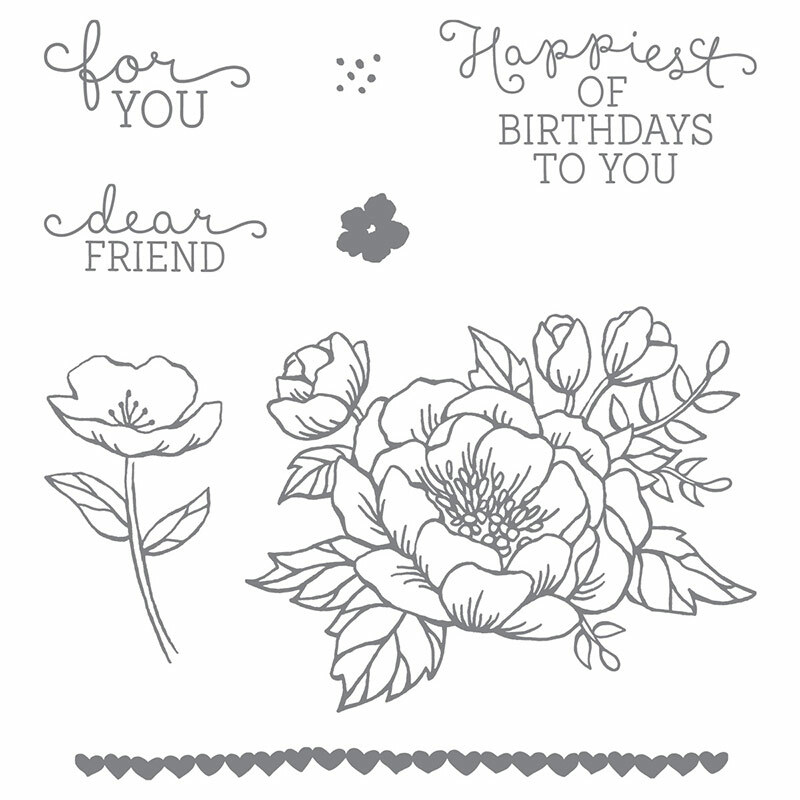 Your handmade cards are even more beautiful than the printed ones in the kits. I love that you have totally coordinated them with Meghan's wedding theme. They even match your dressing gowns! Such a great tip to use our fabulous DSP too! Oh Louise! these are stunning! I can't wait to see them in an album - they are going to look so incredible. I love what you said in your comments so many of us are all guilty of not getting those photos printed. It is so nice to work together to get memory keeping happening. Very nice handmade PL cards... the pretty DSP makes it easy, but I especially like the ones where you stamps and colored the images!